This recipe was featured on ModernMom’s ipad & iphone app! 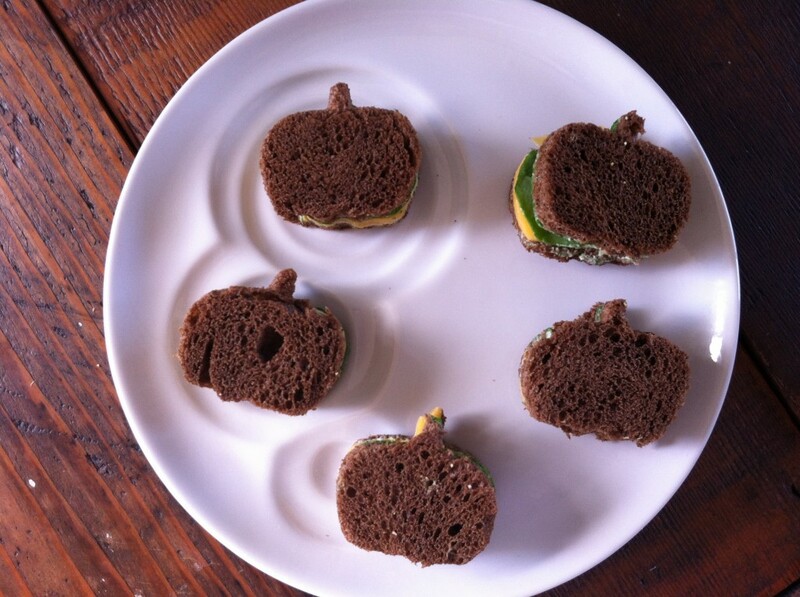 To get in the spirit of Halloween, I decided to play with black bread and a vibrant orange cheese. I took it one step further and found a small cookie cutter in the shape of a pumpkin and decided to have some fun!! In a food processor or small blender, blend all aioli ingredients until smooth. 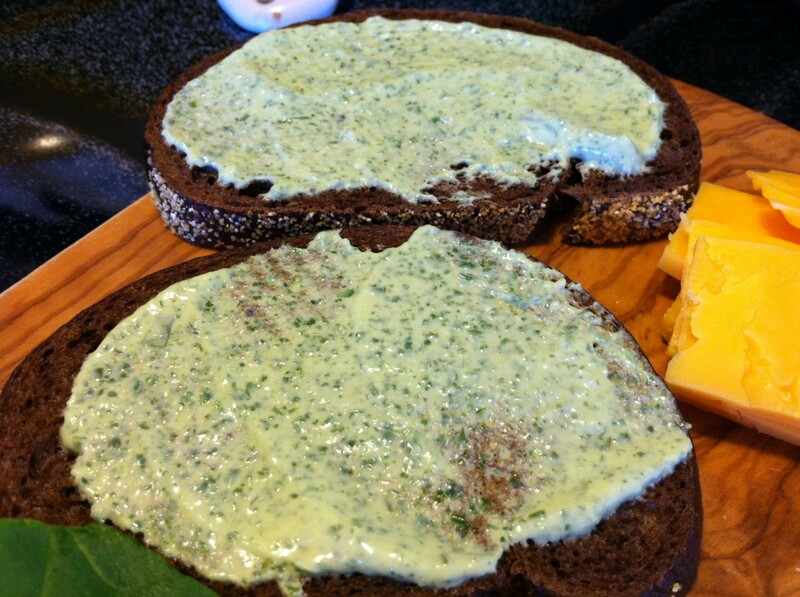 Spread a thin layer of aioli on both sides of the bread. 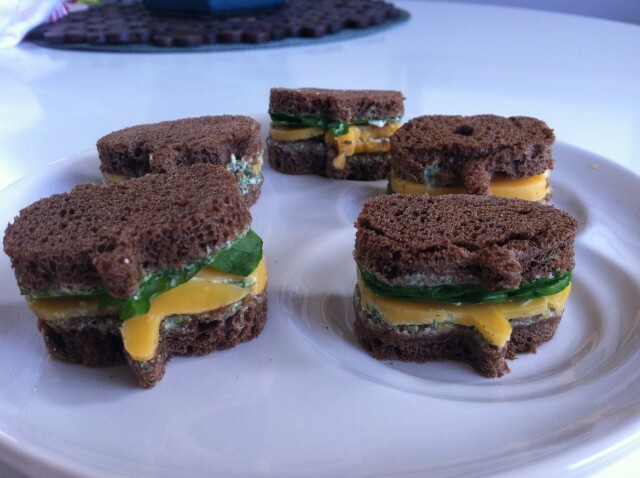 Place cheese and spinach only on one side, making sure not to pile ingredients too high (it makes cutting more difficult). Top the sandwich with the other piece of bread and press down firmly with the cookie cutter. 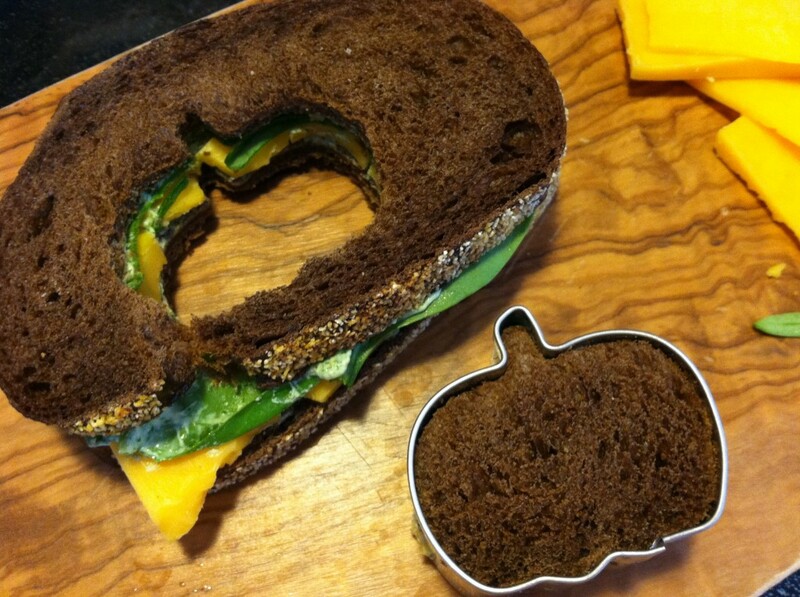 You may be able to get a couple of pumpkins out of each sandwich depending on how big your cookie cutter and bread slices are. Abracadabra, that’s it!! Serve with a side of hummus and carrots, apple slices or side of your choosing. This can also be great for a party when you need finger food. I hope your husband gets to eat the non-pumpkin piece.